Promotional value expires 180 days after purchase. Amount paid never expires. $50.00 fuel surcharge and $10 headset rental for flights.Weight limit: 250 pounds. Height limit: 6’2 Reservation required. Subject to availability. Limit 1 per person. May be repurchased every 90 days. Limit 1 per visit. Valid only for option purchased. 24-hour cancellation notice required. Merchant is solely responsible to purchasers for the care and quality of the advertised goods and services. There’s nothing more to navigating the skies than hard work, dedication, and looking cool in goggles. As you enter flight lessons, heed the following steps to acquire your very own pilot’s license. Make Sure You’re Qualified: License requirements vary depending on the specific aircraft—whether airplane, helicopter, gyrocopter, balloon, flying motorcycle, or airship—but the basic qualifications to obtain an airplane pilot’s license are simple: you must be at least 16 years old, understand English, and pass a specialized medical exam. Visit the Doctor: First, see if your body can handle the demands of flight. Pilot’s licenses require a medical examination from an FAA-approved Aviation Medical Examiner (AME). The exam includes vision, hearing, and blood-pressure tests. The certificate is valid for 60 months for pilots younger than 40 and 24 months for pilots older than 40. Take an Introductory Lesson: There are no prerequisites for taking flying lessons, and you can take as many as you need to become proficient. The first step toward certification is getting a little experience in the air with a qualified instructor, familiarizing yourself with maneuvers such as takeoffs and landings before diving into the licensing process. Choose Your License Type: There are two primary types of pilot licenses for civilians: recreational and private. 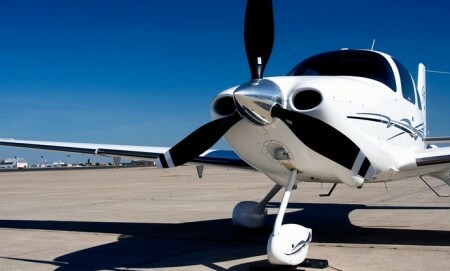 To obtain a recreational license requires fewer hours of airtime—30 hours versus 40—since recreational pilots have more limitations placed on them. For instance, they can roam no more than 50 nautical miles from their home base, fly no higher than 10,000 feet above sea level (unless there is terrain such as a mountain or giant ant hill, in which case they must stay within 2,000 feet above the ground), and must stay grounded during dark hours and inclement weather. Private pilots, on the other hand, enjoy much greater freedom, traveling almost anywhere in the country—so long as they stay within 18,000 feet above sea level—and with as many passengers as the craft can carry. Get Your Hours In: Under the tutelage of a flight instructor, pilots-in-the-making must put in the time flying by themselves, especially over long distances, and master preflight test prep. Private-pilot applicants must also be able to fly at night. Flight instructors are responsible for endorsing applicants’ flight logs before they can acquire their license. Hit the Books: In addition to in-flight experience, pilots must pass an aeronautical knowledge test with a grade of 70% or higher. The test covers a wide range of flying subjects including FAA regulations, aerodynamics, and how to avoid stormy weather by not angering any flying witches.